The Twitterverse and the rest of social media are abuzz with hysteria about Russia in light of the recent revelations regarding Donald Trump Jr.’s meeting with a Russian national who claimed to be in possession of some incriminating information about Hillary Clinton. Words frequently used by the anti-Trump Russian conspiracy mongers to describe Russia include “enemy,” “hostile,” “adversary,” etc. There is just one problem with this. It is not an accurate characterization of Russia or our relationship with her. For the record, the U.S. currently has no declared enemies. Not one. The fact that we are at war in one country and are aiding one side in a civil war in another yet have no declared enemies should give one pause, but that is for a separate essay. The U.S has (way too many) countries that are treaty allies, and countries that are not treaty allies, but we have no declared enemies. People who irresponsibly describe Russia as an enemy of the U.S. need to produce the declaration of such or retract their slander. What Russia is is an impediment to Davos uber alles globalism, and that is what this whole “RussiaGate” ruse is really all about. 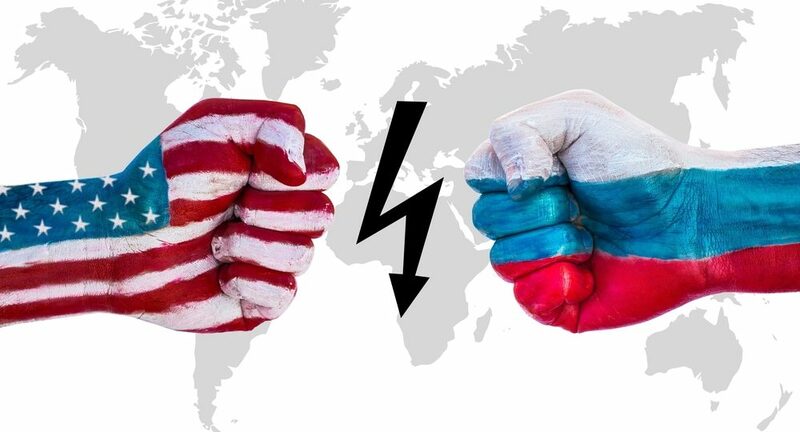 The Davosian hegemonists seek to portray Russia as the enemy and maintain tensions between the two great nuclear powers because it serves their ends. A nationalist Russia and a newly nationalists “America first” United States getting along is the stuff of Davos Man, whose primary loyalty is not to his nation but to the “liberal world order” that enriches him, nightmares. That so many rank and file Democrats and liberals have allowed themselves to become useful idiots for elite hegemonists does not speak well of their judgement. Many authentic conservatives have recognized the real dynamic at play here, and wisely stopped their knee-jerk hostility to Russia that characterized the Cold War right. The current role that Russia is playing on the world stage and why authentic conservatives are resisting the Russia hating temptation is well described (despite the title) in the second half of this The American Conservative essay by Prof. Paul Gottfried. Besides the fact that genuine American conservatives should oppose Davosian hegemony anyway, it is not in the best interests of authentic conservatives to keep up the narrative that Russia is an inherent enemy. It is one of the main justifications for continuing the Warfare/Security State, something I thought the genuine left was also supposed to oppose. This is evident by the fact that it seems to have been Candidate Trump’s suggestion of better relations with Russia more than anything else that sent the Deep State over the edge and precipitated their current coup attempt disguised as concerns about Russian election interference. It is also not a coincidence that the ruse they are utilizing for their coup attempt furthers the narrative of Russia as the implacable bad guy. It well past time for the U.S. to seek better relations with Russia and for the Russiaphobes both left and “right” to stop their dangerous rhetorical escalation. The left (with some honorable exceptions), which is supposed to be anti-war, is embarrassing itself with its current embrace of anti-Russia hysteria and potentially dragging the country into conflict with a major military power. The hegemonists have no problem using the left’s anti-Trump derangement to further their cause. The left needs to wake up to the fact that it is being used and stop with its Russia fixation before their wild talk plunges us into a major conflict. The Leftist Endgame: Take Down the President, Take Down the CountryWas President Trump Kept in the Dark?